Highlighted in red are the 5 major terminal nerves of the plexus. This plexus is one of the easiest to learn, and we have focused on the clinical stuff, as that is ultimately what counts. You shouldn’t obsess with the details, focus on the basics (what region does the nerve supply). You will remember the details with time and revision. These exit the intervertebral foramina, and pass between scalenus anterior and scalenus medius. The plexus then runs in the axilla. Occasionally you get a prefixed (C4 included) or post fixed (T2 included) plexus. This root gives rise to the phrenic nerve (mainly C4). Each trunk has a posterior and anterior division. The posterior divisions of each trunk join to form the posterior cord. These are named by their position relative to the axillary artery, which they surround. 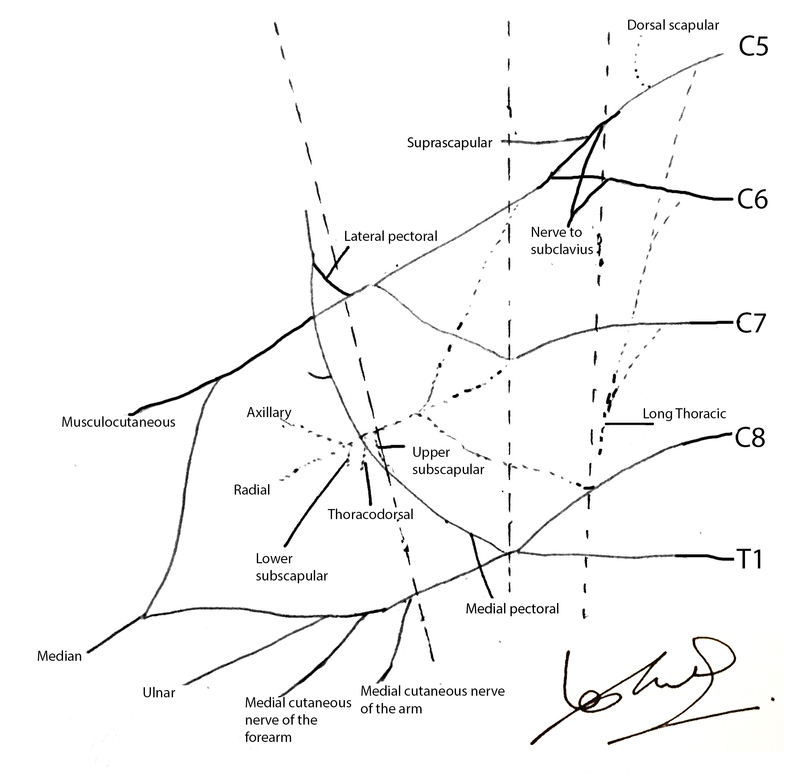 C8-T1 – Medial cutaneous nerve of the forearm – supplies sensation to the medial surface of the forearm. 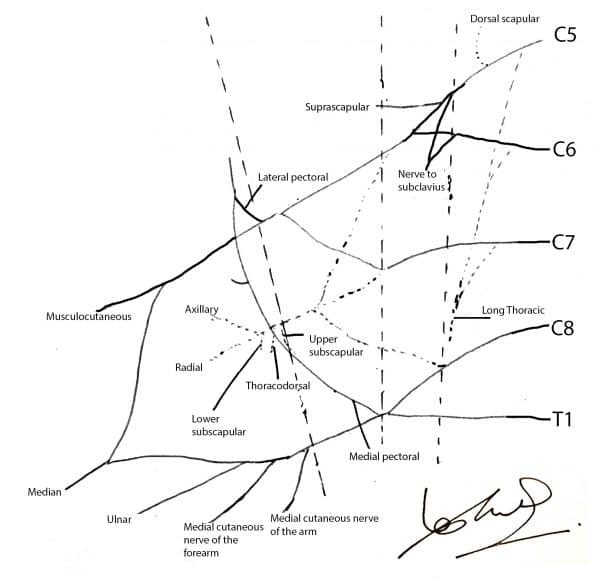 C8-T1 – Medial cutaneous nerve of the forearm – supplies sensation to the medial surface of the arm. (C5-7) Lateral pectoral nerve – supplies both pectoralis major and minor, but mainly major. 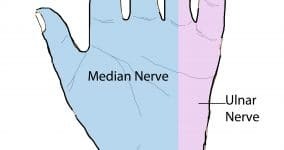 Median nerve supplies all the flexors of the forearm (except the ulnar head of flexor digitorum profundus and flexor carpi ulnaris). Median nerve also supplies the muscles of the thenar eminence of the hand (flexor pollicis brevis / abductor pollicis brevis / opponens pollicis). Also supplies the radial two lumbricals. It DOES NOT supply adductor pollicis brevis. Upper roots are damaged, usually C5-6. Patient has a ‘waiter’s tip’ position (elbow is extended, shoulder is internally rotated and forearm is pronated). This is because the axillary nerve, suprascapular nerve, and musculocutaneous nerve are affected. Lower roots are damaged, usually C8 and T1. 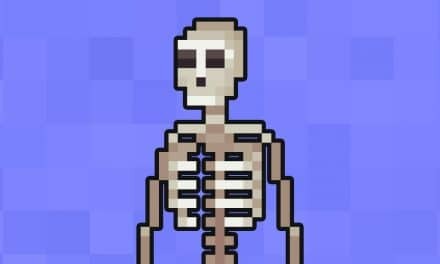 Usually occurs during childbirth. Symptoms are similar to an ulnar palsy, but also causes loss of sensation to the medial surface of the arm and forearm, as well as weakness of pectoralis minor. Normally the more proximal the nerve injury, the worse the symptoms. Not with the ulnar nerve. 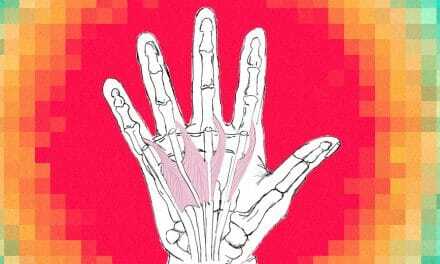 A proximal injury denervates the finger flexors (ulnar head of FDP) as well as the intrinsic hand muscles. Hence the patient has an open palm. Distal injury leaves the FDP intact, resulting in a clawed appearance that is disabling. Compression of the axilla compresses the radial nerve. Symptoms are wrist drop and loss of sensation to the back of the arm. Usually caused by a downward dislocation of the shoulder. Results in loss of sensation over the regimental patch, and weakness of shoulder abduction (due to deltoid being denervated). Damage to the long thoracic nerve denervates the serratus anterior muscle. The scapula can no longer be protracted, and so appears winged. This is caused by prolonged compression of the medial nerve at the elbow. 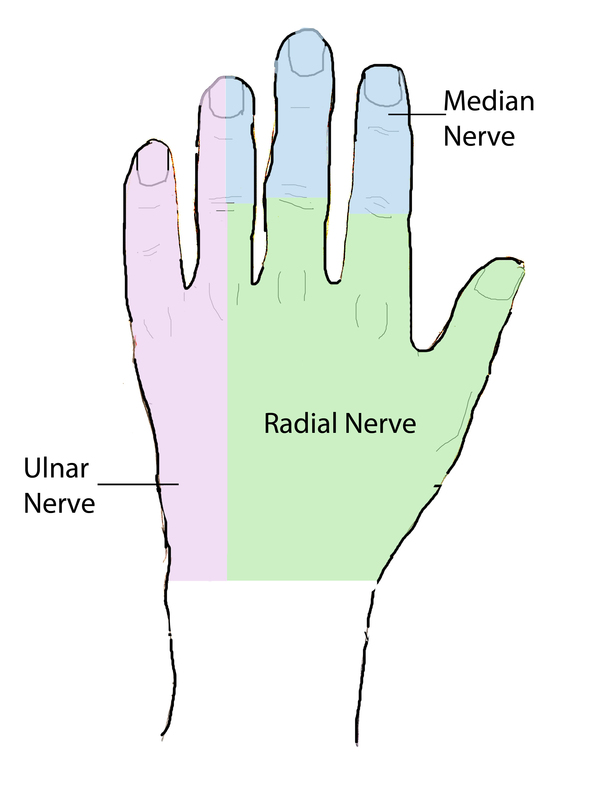 This results in an inability to flex (due to denervation of the finger flexors of index and middle fingers) and extend the interphalangeal joints of index and middle finger (due to the radial two lumbricals being denervated). 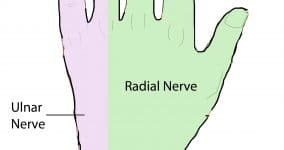 1) What are the nerve roots of the radial nerve? 2) What muscle does the musculocutaneous nerve supply first? 3) What are the two forearm muscles supplied by the ulnar nerve? 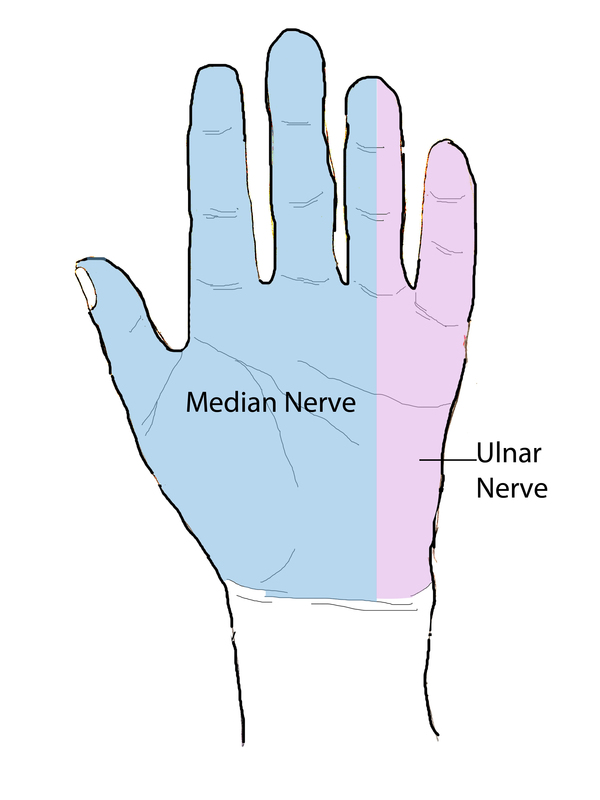 4) Which hand muscles does the medial nerve supply? 5) Damage to which nerve causes winged scapula?